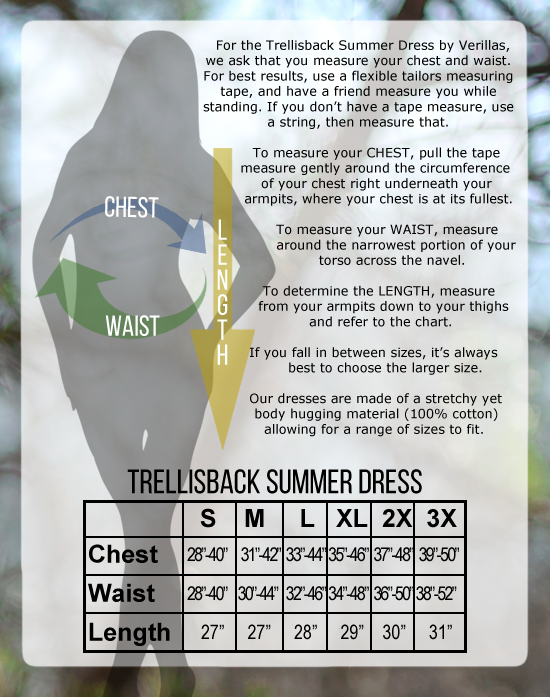 The Trellisback Summer Dress is a figure flattering 100% cotton dress with plenty of stretch. It features a lace up criss-cross back that doubles as the shoulder straps. This style can be dressed up or down, worn casually or as part of a whimsical fae look.